Do you want to find new customers via Social Media Networks such as FaceBook or Twitter? At DCP we understand social media can play an important role in marketing your business online. 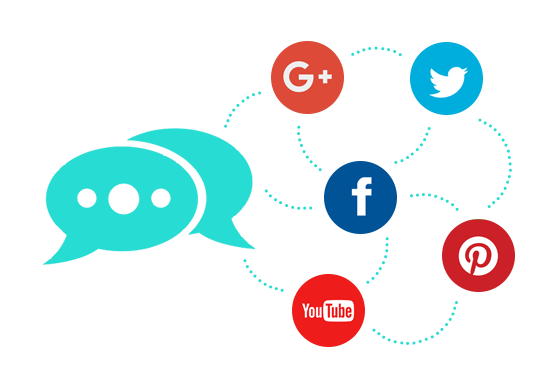 We have knowledge and experience using all the popular social media networks such as: FaceBook, YouTube, Google+, Twitter, LinkedIn, Pinterest and many more! We can custom design your social network pages giving your business a seamless transition between your business website and your social network accounts. We can custom design (Re-skin) a wide range of social networks including Facebook, Twitter, You Tube, Google +, LinkedIn and many more. At DCP we offer a range of content writing services including content writing for social networks. We can create fresh new content and post messages for you on a daily basis to help drive traffic to your website. All social network written content is 100% original and themed around the services and products your business provides. What are the Key Benefits, Features of Social Media Design and Management? What do you need to provide for Social Media Network Design and Management? Our development team will work with you to help define the above requirements if required. What is a Social Media Network Design? Most social networks are free to join which is great but as default the social network page created for your business in generic and has no synergy with your business branding. At DCP we can re-skin (Social Network Design) your standard social network pages giving a consistency between your business website and your social network pages. What is Social Network Management? We expect your busy running your business from day to day focusing on serving your clients. At DCP we find our clients are simply too busy and have very little time for content writing. We have a talented team of content writer who can help manage your social networks and post new messages daily, weekly or monthly. We simply take the technical hassle out of your hands and provide a social networking strategy to help drive more qualified visitors to your website.